SURREY, BC (October 19, 2016) – A memorial service for Anna Josephson, widow of Covenant pastor and superintendent Albert Josephson, will be conducted at 2:30 p.m. on Saturday, October 22, at Green Timbers Covenant Church in Surrey. She died September 20. Anna, 97, was born March 14, 1919, in Lethbridge, Alberta, to Julius and Josephine Lind. She nearly died during her birth, and a priest was called to perform last rites before she recovered. She graduated with a degree in nursing from the University of Alberta and won several honors, including the prestigious Governor General’s Gold Medal for excellence. She also was recognized for her excellence in nursing after graduation. Anna married Stanley Moseson in April 1944. He died in an airplane crash in 1947. She was working as a nurse at Covenant Bay Bible Camp when she met Albert Josephson. The couple married in 1950. The couple served Covenant churches in Calgary, Alberta; Melfort and Kinistino, Saskatchewan; Edmonton, Alberta; Surrey (Green Timbers), British Columbia; and White Rock, British Columbia. Albert served as the Canada Conference superintendent from 1969 to 1978 while also serving churches in Edmonton and Surrey. The couple also spent a sabbatical year in Stockholm, Sweden, where he served as pastor at the English-speaking Covenant church there. Albert died in 2013. 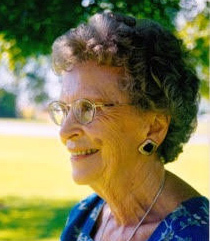 Anna is survived by a daughter, Joan (Ron) Hendrickson; two sons, Allan (Jeri) Josephson, and Neil (Sharol) Josephson; eight grandchildren, and 15 great-grandchildren. Truly a life well-lived. Peace and comfort to Anna’s family! May God bless the family as they mourn the loss of their beloved Anna on her graduation to heaven.